The sunrise at its summit. I sat in awe at the beauty unfolding before me. What I had seen compelled me out into the dawn of the day. I had slept restlessly despite having been emotionally and physically drained by the previous days’ activities. I had returned to Ohio to assist our son in preparing to move before the professional movers would shuffle him off beyond Buffalo to upstate New York for his new job. For two long, hard days, we sorted and packed his items, and cleaned the house he was leaving for a smaller apartment. I would also stuff our van with family heirlooms and thrift store pieces to take back to Virginia. It was hard to see him off, he and I both in tears. With those emotions still stirring internally, I surrendered to what lured me outdoors. The day was dawning with a broken cluster of wispy gray clouds hanging in the eastern sky. A spot of pink hue peeked at the horizon, giving me hope of a lovely sunrise. I sat in the morning’s coolness on the patio waiting breathlessly for the show to begin. Would those clouds enhance or hinder a brilliant sunrise? The answer found itself in patience, not my best quality. 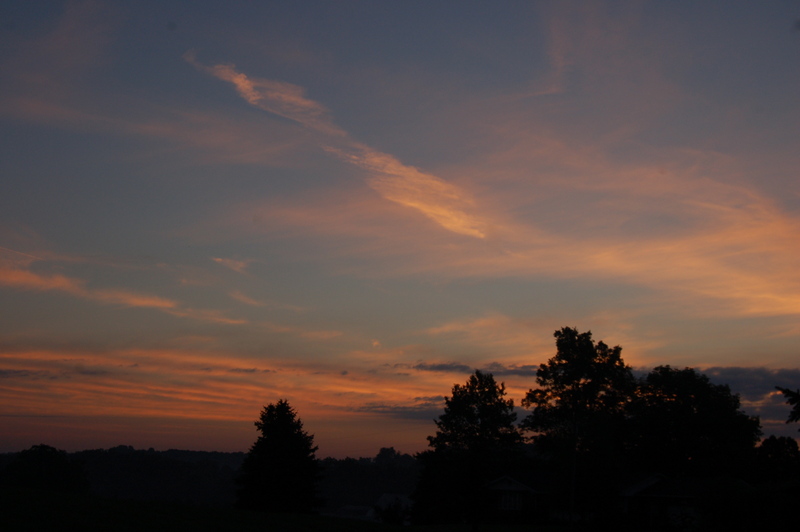 Nevertheless, I remained nearly alone overlooking Millersburg, Ohio from our friends’ place high on a hill. 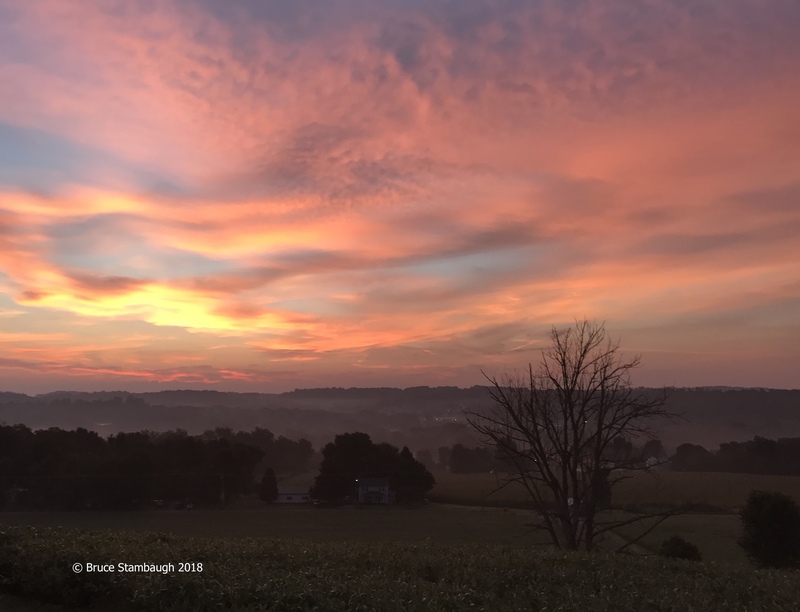 A light, feathery mist lingered over the hardwoods, farm fields, and commercial properties that filled the Killbuck Valley. As the sky brightened ever so slightly, a menacing caw, caw, caw punctuated the morning air. I strained in the dim light to find the source of the harshness. Suddenly, a pair of inky figures, their black wings flapping furiously, repeated their raucous call. The two American crows were on a beeline southwest in hot pursuit of another crow far ahead of them. It was like two undercover cop cars chasing a crook. The only other sounds were human-induced, the distant hum of a few vehicles, and a dump truck on an early run from the gravel pit down the road. Neither crickets nor katydids had awakened yet. Then it happened. 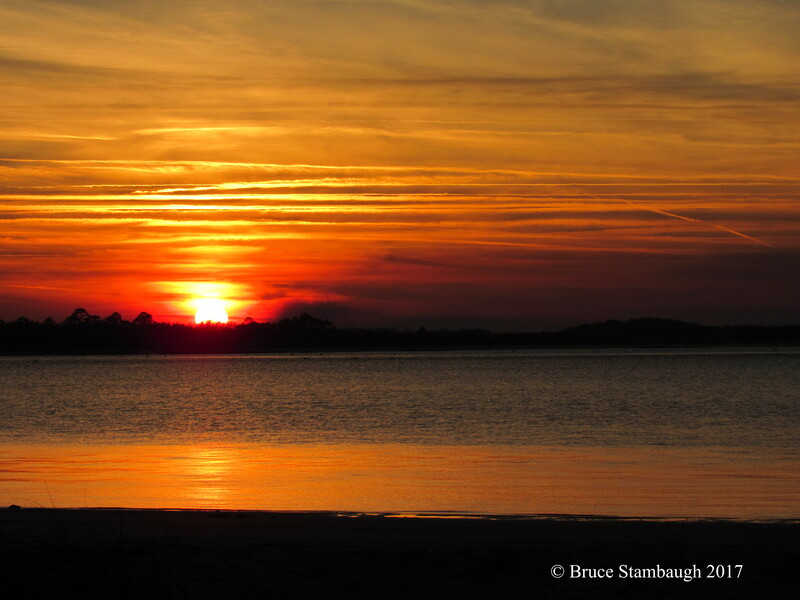 A silent burst of radiance raised me out of my chair and freed me from my stupor. 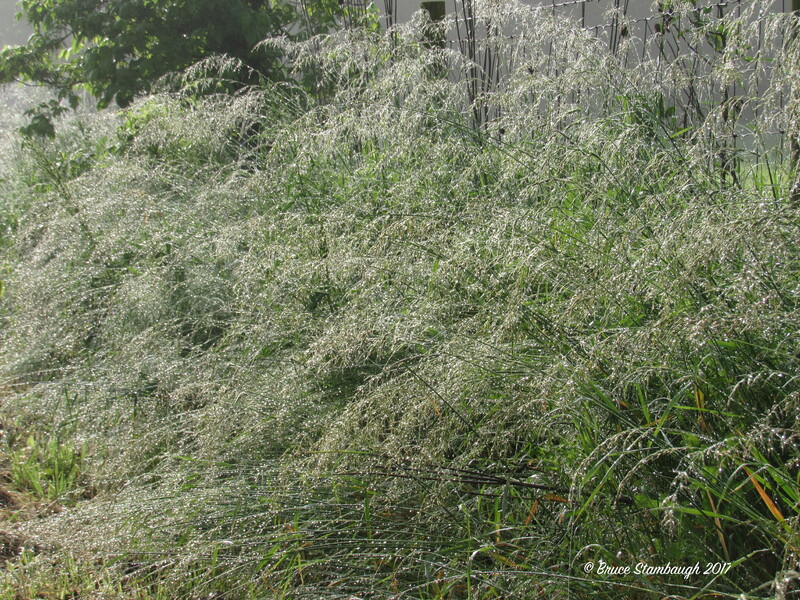 I danced barefoot into the dewy lawn. 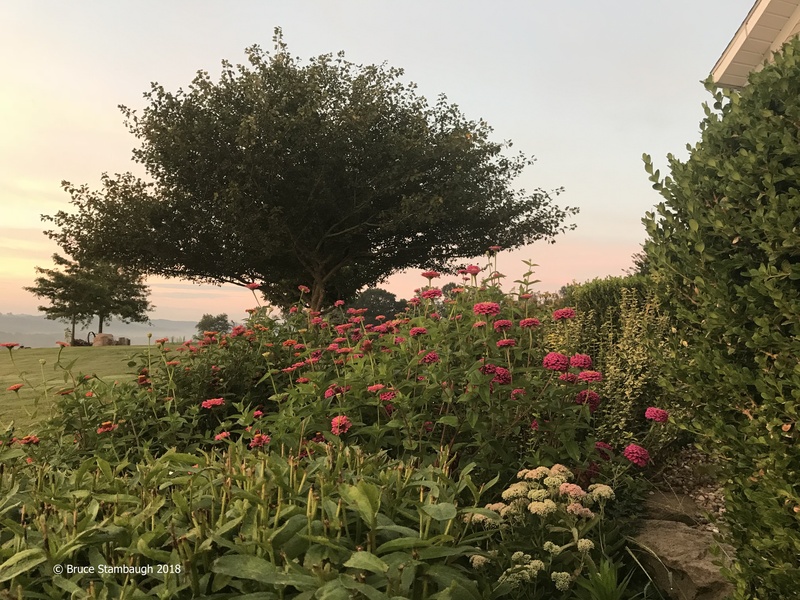 I soon found myself at the southeast corner of the yard where I had a better angle to view the sunrise and could ignore the obnoxiousness of an ill-placed cell tower, its red lights annoyingly blinking. Ironically, the only camera in hand was the one on my cell phone. So I hypocritically began snapping photo after photo of the stunning, flowing scene changing second by second. Those once gray clouds now glowed gold, yellow, orange, red, pink, mauve, and crimson. In the foreground, security lights and streetlights twinkled below the incredible show. One would think I was observing my first ever sunrise the way I clicked away. Still, I continued to capture the incredible drama before me, not for myself so much as for others. In such a setting, my joy comes as much in the sharing as experiencing the splendor. When the sun finally poked above the horizon, I walked back towards the house. This sunrise had awakened me as no other had. I felt renewed and refreshed from the emotions and exertions of the previous days. I was ready to begin my journey home. 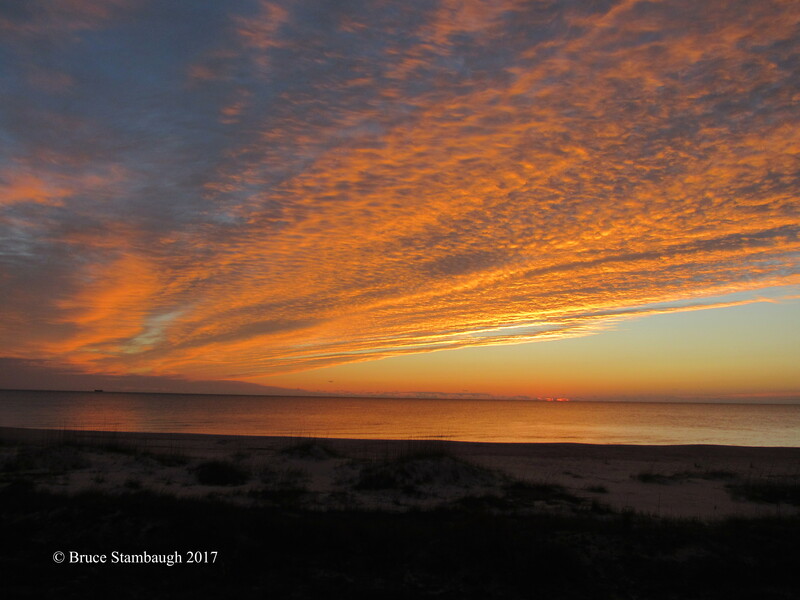 For most folks, if they saw it, this was just another sunrise. To me, it was a blessed miracle. Even the northern sky flashed radiance. Years ago, owning a Timex watch was chic. At least it was from my adolescent point of view as influenced by the ubiquitous TV commercials. The company’s slogan was as simple as their ads. “Timex: The watch that takes a licking and keeps on ticking.” They demonstrated various ways to challenge the integrity of their watches. The timepieces were stepped on, dropped from high places, and crunched by cars. Those commercials stuck in my impressionable mind. I can’t recall if I ever owned one of their indestructible watches or not. I did wear a watch religiously as a teen. Doing so was THE way to tell time unless you were in a room with a clock. I wore a watch for most of my adult life. Watches were the standard retirement gift. I got one when I retired as a school principal. I quit wearing it a few years ago for a more accurate way to tell time. With the advent of cell phones, I stored my wristwatches with my grandfather’s gold pocket watch that my parents gave to me. I ditched the watches for two reasons. First, wristwatches bothered me when I wore them. In the summer, I sweated with it strapped to my wrist. Other times the expandable metal band pinched my skin. Secondly, I could easily tell time by just looking at my cell phone. The date and time displayed prominently on the phone’s face. The same was true when I traded in my flip phone for a smartphone. If I want to know the time, I just pull out my phone and glance at the screen. The time is universally accurate. I realized, though, that time is more than just seconds, minutes, and hours. I also noticed that instead of a wall calendar or the electronic calendars that sync on my phone and laptop computer, I have begun knowing what day of the week it is in a much different fashion. I use the calendars for the date. I use my weekly pill case for knowing what day it is. Like many other baby boomers, I’m a walking pharmacy. I’m embarrassed about how many pills I take every day, four times a day, sometimes five depending on my health. I apparently didn’t inherit my parents’ best genes. It’s sad but true. Every day before breakfast, I religiously bow to my seven-day plastic pill case. It contains four capped compartments for each day of the week. Just so I know where to begin and end, each compartment is labeled for the proper day of the week. And I thought these were just for old people. I take so many pills that none of the compartments goes empty. I hate taking so much medicine. A lifetime of stuffing my body with gluten, which I unknowingly couldn’t tolerate, drives most of my various medical conditions. I finally went gluten-free four years ago. But the compounded irritation damage of the gluten still has to be treated and supplemented. Consequently, my pill box is full. Like it or not, it has come to pass that instead of an indestructible Timex or a handy-dandy smartphone, a utilitarian pill case has become my measure of time. And just like my old watches, don’t look for it on my wrist. 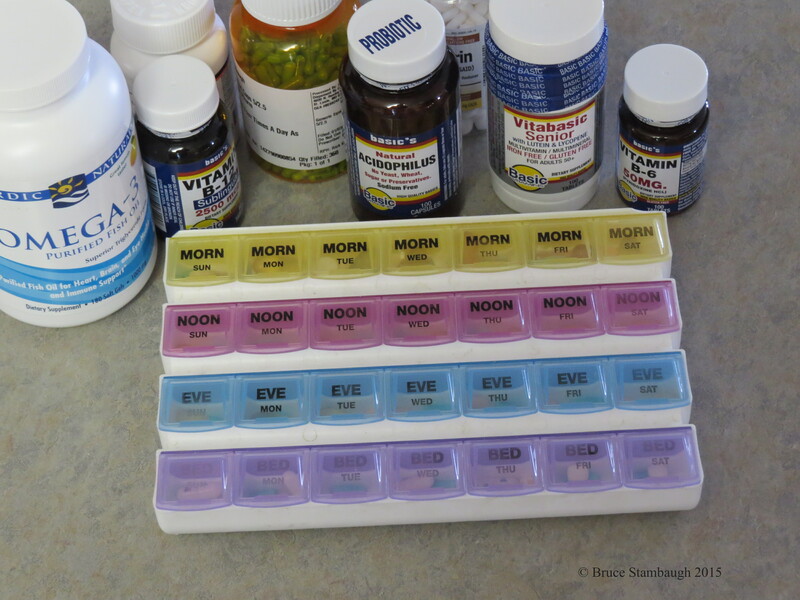 As I empty those pill compartments one by one, I can’t believe how fast the weeks fly by. I lament that it takes a pillbox to remind me of that. 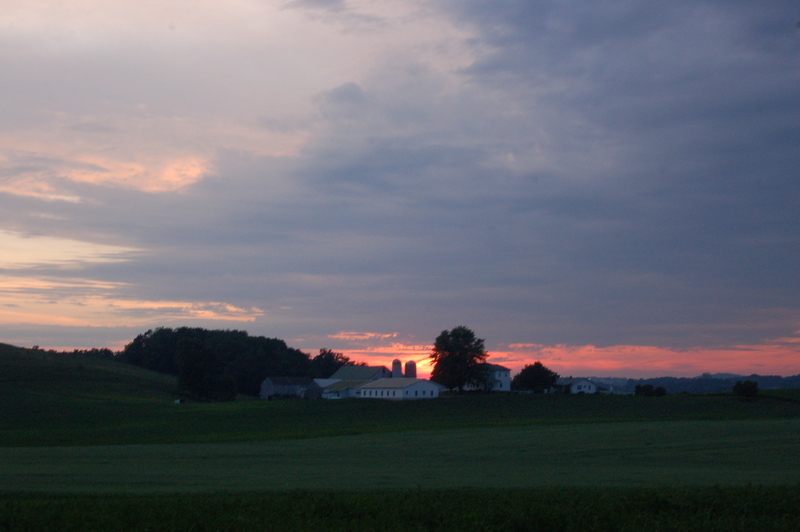 Yesterday’s sunrise was a beauty here in Ohio’s Amish country. It truly was a glorious morning. 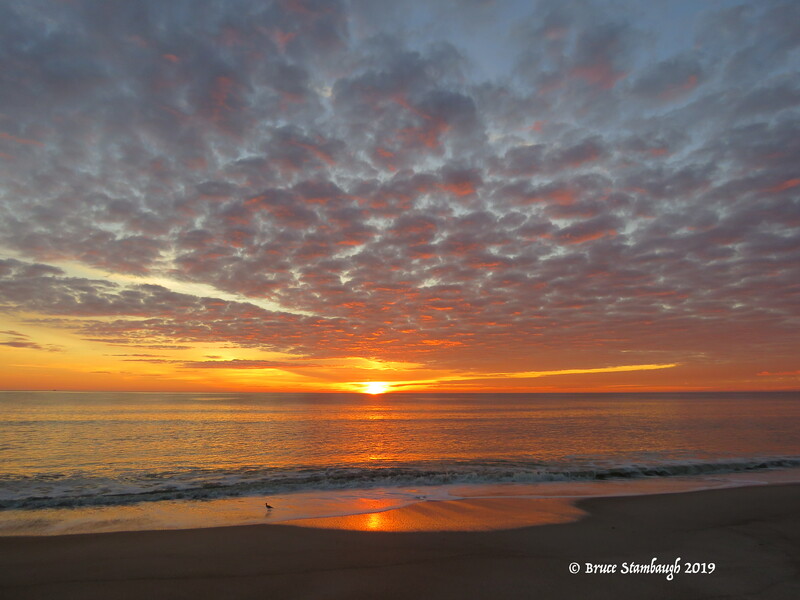 “Morning Glory” is my Photo of the Week. This pair of Canada Geese was none too happy about my early morning intrusion on their quiet solitude. Their harsh honking wasn’t the only thing that caught my attention. 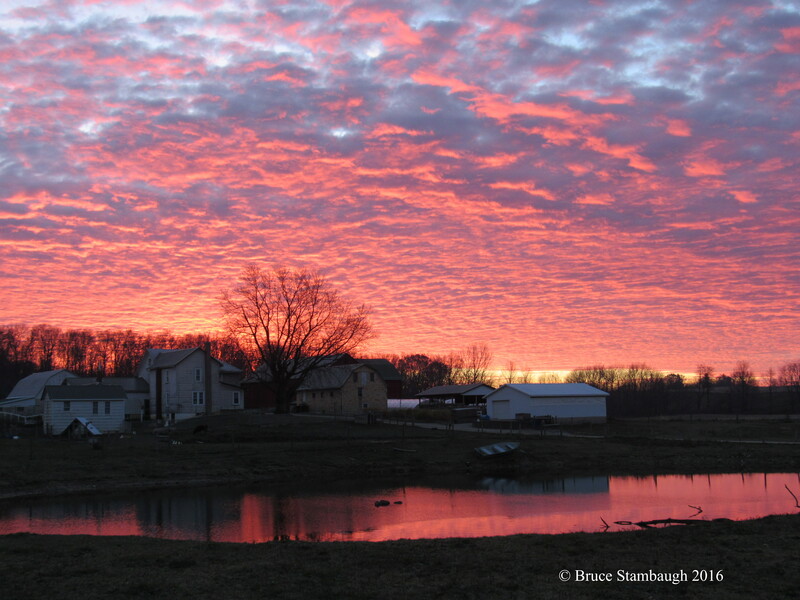 I couldn’t believe the color of the predawn sky’s reflection on the farm pond. The lavender and mauve beautifully accented these noisy birds. 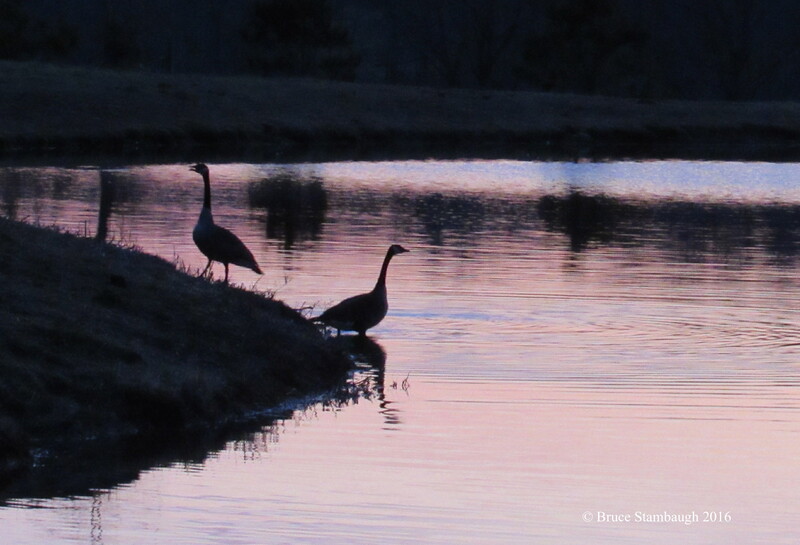 “Lavender Geese” is my Photo of the Week. 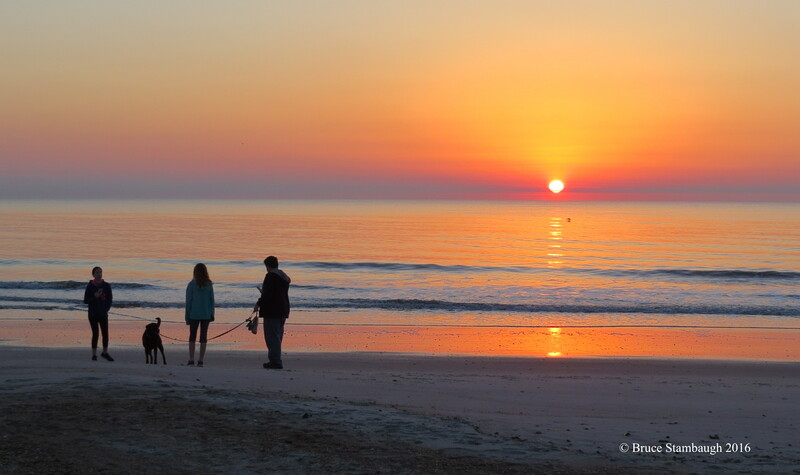 This photo could be just another beautiful sunrise on the beach. But if you look close, a lot is going on in this scene. Like it or not, perhaps that is truly how much of the western world welcomes in each day. We fixate on getting the day going on our own terms instead of simply greeting the day as it freely shines upon us. 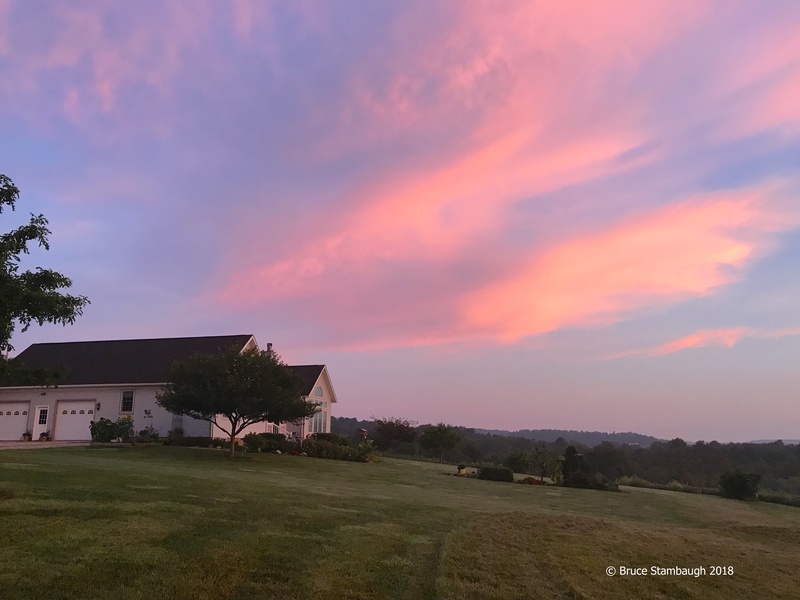 “Greeting the Day” is my Photo of the Week. I have absolutely no idea why it took me so long to post these pictures of the sunrise and sunset of the summer solstice, which occurred on June 21, 2010. Nevertheless, here they are, finally.